Sometimes things that seem to have existed forever turn out not to be as old as you might think. Example in case: in 1975 the International Standards Organisation publishes ISO 216. 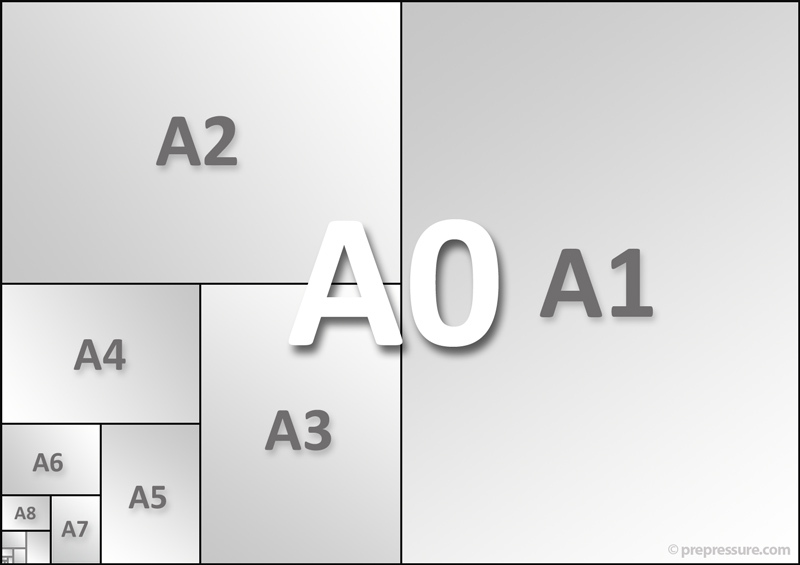 This standard defines paper sizes such as A3 and A4 and, outside of the USA, it is adopted globally. At the Imprinta trade show in Düsseldorf, the first Linotronic photo typesetting system with a full-screen display and floppy disk drive is shown. D.I.S.C (Digitized Information Systems Corporation) is founded in Gent, Belgium. It specializes in prepress systems for forms, labels and packaging. 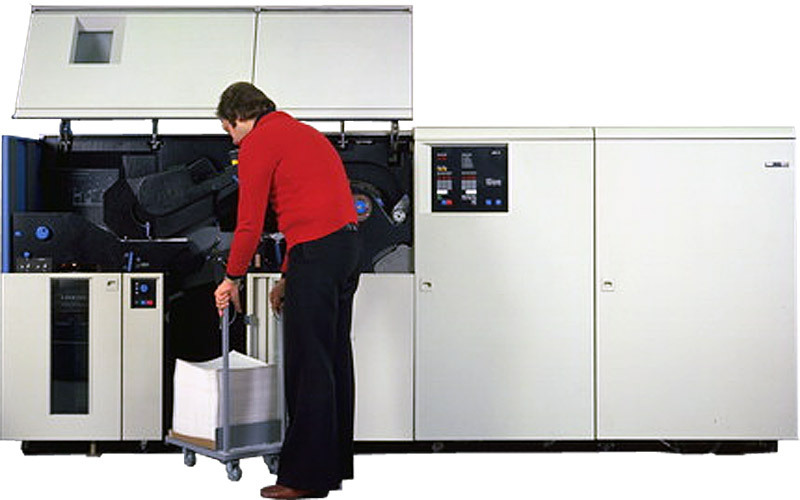 The first laser printers, such as the IBM 3800, shown below, and Xerox 9700, hit the market. They are prohibitively expensive but useful for applications such as cheque printing. Chinese manufacturer BEIJING People Machine Factory starts producing sheetfed offset presses using the BeiRen brand. Mimaki is founded in Japan. The company makes flatbed pen plotters during the 80’s and 90’s. Nowadays it manufactures wide format inkjet printers. ITC publishes Bauhaus, a decorative sans-serif created by Edward Benguiat and Victor Caruso. The United Nations proclaims International Women’s Day. The Vietnam War ends with the Fall of Saigon. The British comedy sitcom Fawlty Towers airs on BBC 2. Angola becomes independent from Portugal. Lyme disease is first diagnosed at Lyme, Connecticut.